What Is a Holiday Fruitcake? Pity the poor, maligned fruitcake. Who hasn't heard stories of the same fruitcake that gets passed around every year and then sits on a shelf until the next holiday season? The poor things are often referred to as bricks, paperweights or doorstops. Most people either love it or hate it. Don't blame the fruitcake; blame the recipe. There are many different styles and recipes from which to choose, so give fruitcake another chance. Fruitcakes have been making the rounds for centuries. In general, fruitcakes can include any and all of the following: candied fruit, dried fruit, fruit rind, nuts, spices and some sort of liquor or brandy. 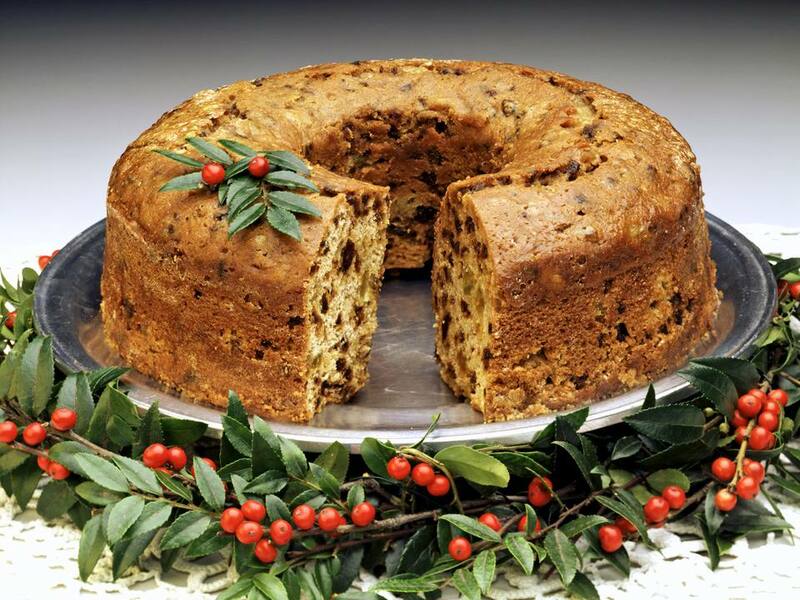 Light Fruitcake: This type is made with light-colored ingredients such as granulated sugar, light corn syrup, almonds, golden raisins, pineapple, apricots and the like. Dark Fruitcake: Darker ingredients are used such as molasses, brown sugar, and darker-colored fruits like raisins, prunes, dates, cherries, pecans, and walnuts. The Dreaded Citron: What Is It? Those who do not like fruitcake generally point the finger at the candied citron or fruits used in the cake. Candied citron is made from the thick peel of the citrus fruit of the same name. The fruit looks like a large, lumpy lemon and has a thick peel and relatively little pulp or juice. It's one of the four ancient citrus fruits, being grown for over 3000 years. It was used medicinally for stomach and intestinal ailments. Since it contains a large amount of vitamin C, it could prevent scurvy. Citron oil was used for perfume. Today, citron fruit is used to make candied citron peel as well as being used commercially as a source of pectin, which is soluble fiber. The candied peel used in fruitcake is brined and fermented for several weeks, desalted, boiled, and then candied in a sugar solution. After that, it is dried and sold to be used as an ingredient in fruitcake, plum pudding, and other baked goods and candy. You don't have to use citron in your fruitcake. You can use any candied fruit that you prefer, many types are readily available in the baking section of your grocery store. If you like to make your own candied fruit, you can do so. Think of pineapple, cherry, orange rind, or lemon rind. It is made by dipping or boiling pieces of fruit in heavy syrup and then drying them. They are often rolled in granulated sugar after the drying process. If you don't like candied fruits or peels, try substituting plain dried fruit pieces in your fruitcake. You can find many types of dried fruit in the grocery store, including raisins, currants, apricots, peaches, bananas, mangos, papaya, and much more. Is It Vanilla Cake With Dried Fruit or a Vanilla Fruitcake?